2019AACR丨奥希替尼（9291）耐药处理新思路，来自与癌共舞网站，微信精华 - Powered by Discuz! 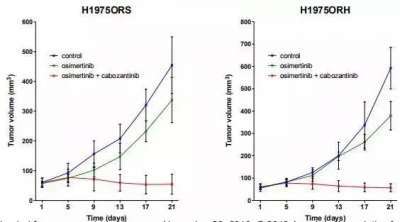 5.TATTON Phase Ib expansion cohort: Osimertinib plus savolitinib for patients (pts) with EGFR-mutant, MET-amplified NSCLC after progression on prior third-generation epidermal growth factor receptor (EGFR) tyrosine kinase inhibitor (TKI). Abstract CT033.